Can You Become a Millionaire by Starting a Bakery Business? 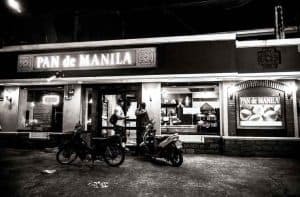 Is Pan De Manila Franchise an Option? I personally eat at least 1 or 2 pandesals a day (usually at Pan De Manila) for breakfast, but sometimes also for dinner. How about you? Do you love these delicious bread buns too? I’m sure you do…But more interestingly – can you start a Bakery Business and become rich from it? 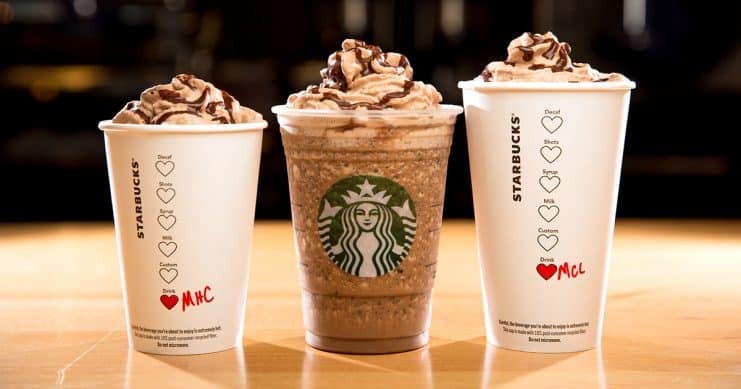 Or is it better to invest in a Franchise? Well, if a former rice farmer from Batangas by the name of Metring Cuevas became a millionaire from a Pandesal business, then you can too. Ever since he was a child, Cuevas had a dream to put up his own bakery shop. It was only when he met his future-to-be-wife (who already had a small pandesal business) – that he took a calculated chance which would change his life completely. He knew that bread has been the country’s 2nd staple after rice, and that a good solid bakery business, if run smartly and correctly – can sure bring nice returns, with a minimal investment. Cuevas took a loan, one oven, borrowed some flour from his brother, and opened his first pandesal bakery business in Leon Guinto. It was an immediate success. Customers loved his bread, and sales kept going up. Cuevas then opened his second branch in Pedro Gil, and soon after his Bakery started it’s nationwide expansion. Today, Cuevas Bakery has more than 30 branches all across the Philippines, and is making millions every year. “Baking is a rewarding and profitable business”, said Ric Pinca, the executive director of the Philippine Association of Flour Millers. So to answer our question in the title above: Yes, it’s definitely possible to become a millionaire from a Bakery business. However, it’s not as easy as it sounds. Cuevas mentioned many times in interviews, that success was a result of lots of hard work and focus. Now in his 70’s, Cuevas still works in his Bakery business, although he’s slowly passing on the helm to his kids. How Do I Start My Own Bakery Business? Before studying the local market of bakeries, your competitors, suppliers and such – you should learn how to bake a pandesal! I’m serious. Even if you don’t plan to be managing the business, you should know it by heart. Take a few weeks of baking training. That’ll do. However, don’t think that if you baked at home since you were 5 years old and know all about baking – then you don’t need to research or study as well. What about commercial baking? You might know how to bake a delicious cake for your family, but how about baking 100 delicious cakes for demanding customers in just a few hours? You need to learn how to scale-up your baking quantities, using a bit of math and calculations, and keep that quality consistent. 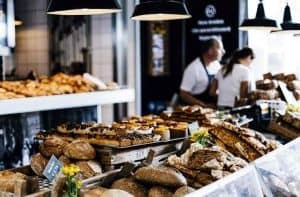 You definitely do not want to start out with a big bakery, unless you already have a good reputation as a Baker or recently won Master chef on TV. In the beginning, act like a lean efficient startup. Start small, don’t rent a huge place or hire a dozen employees. Rent exactly the size you need, and hire exactly the amount of staff you’ll require. Downsizing is always a nightmare, as it involves cancelling costly rental contracts and firing good people. Research the most efficient equipment available, and don’t purchase stuff you do not need. Buy 2nd hand equipment or research for the best and most competitive suppliers. This might lead you to China…(online of course, through AliExpress or Alibaba). When it comes to bakery ingredients – the cost of these can fluctuate a lot due to supply and demand, and competition. Learn about each of your ingredients, how much they cost, where you can get them, and control your expenses. After a few months of operations, if all goes well and you’re seeing growth and profits – you can upscale and expand your bakery business. Finding a great location might contradict the section above – since great locations can cost a LOT. However, due to immense population in the Philippines, it is (sometimes) possible to find small good locations with lots of traffic – for a bargain. Try to get a location close to a University or school, a bus terminal or a food market. You can’t settle down for a location without good traffic. If you open a Bakery shop on High Street in BGC (Bonifacio Global City) for example, which is one of the most exclusive and expensive areas in Metro Manila – your bread products should be totally different than if you opened a shop in a low end area of town. It all boils down to the rent you pay, how much your customers can afford, and what kind of products they expect to see. Customers in BGC (or other rich areas) are usually looking these days for French breads and healthy breads made from whole wheat, oats, nuts and more. These are expensive ingredients, so your products will be priced accordingly (expensive!). 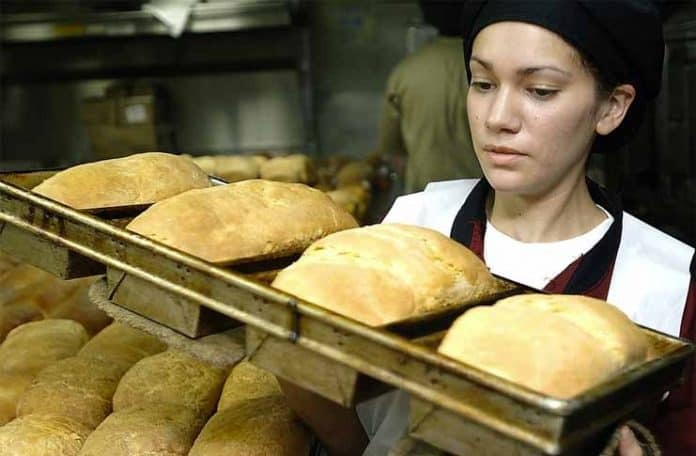 On the other hand, if you open your Bakery business in a low end area of town, where you pay minimal rent, you’ll have customers who do want that hot pandesal – but can afford only bread made of the most basic ingredients, so you’re products will also be priced at the lower end of the curve. Know your market and future customers well before you open up your bakery shop, and create your products precisely for them. Remember that you’re No. 1 goal is to have returning customers. These customers will come back to your store – mainly if they know what they get – with 100% certainty. If they like your bread – and they know it always tastes that same delicious way – they will come back, over and over again. Be consistent with your product quality and taste, and your customer service. You can somehow bypass most of the above by investing in a Pandesal or Bakery Franchise. 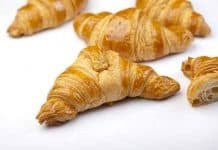 A good Bakery Franchise will have a solid system in place, covering the items above and making sure you are consistent. All you’ll need to do is implement everything they tell you. Should I Invest in a Bakery Franchise? How About Buying a Pan De Manila Franchise? Pan De Manila is probably one of the most popular Pandesal chains in town right now. 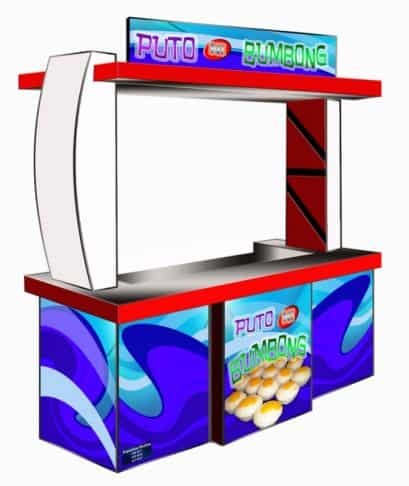 With their red brand color and beautifully designed glowing sign board – they have that irresistible appeal. Besides their sophisticated design, their delicious (traditionally baked – pugon-style) pandesals and all the other read products, Pan De Manila also offers coffee, chocolate mixes, as well as fruit jams and more. There’s a Pan De Manila branch right next to my office, so I get a few Pandesals there almost every day, but is it open for Franchise? Many readers ask us if they can get details about Pan de Manila franchise, but according to our recent check – it’s not yet available for franchising. So what good Bakery Franchise options can you invest in? This Bakery business Franchise is a partnership between Filterpreneur Franchise Inc. and San Miguel Corp. Their pandesal mix is easy to prepare, and also easy to ensure consistent product quality (as we mentioned above). They also don’t charge any Royalty fees. This famous Bibingka Franchise started out back in 1938 (!) by husband and wife Ceferino (Mang Ferino) and Cristina (Aling Tinay), who used to cook bibingka with 3 clay stoves on a very small spot with only 1 bench and a couple of small tables on Juan Luna Street in Tondo, Manila. This bakery franchise started in 1986 by the Dela Cruz family as a small bakery shop in Kalibo, Aklan. Ever since, the Bread and Butter branches have been the go-to bakery of the people in Western Visayas and the Southern Luzon region. Are you really keen on starting your own Bakery business? If so – let us know and share with us your experience! Previous articleBurger King Franchise: Is This The Tastiest Fast Food Burger Business?